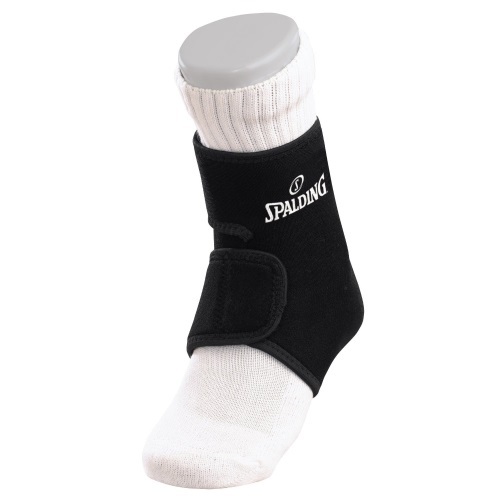 Spalding's One-size synthetic rubber ankle support is universal and fits both ankles. The support features a close cell, 1/8-in. synthetic rubber that retains body heat for better circulation. Is offered with adjustable hook and loop straps for fit and controlled compression. This support brace enhances muscular performance without binding. It has the Dri-Power moisture management system. Universal and fits both ankles. Closed cell, 1/8 in. synthetic rubber retains body heat for better circulation. Adjustable hook-and-loop straps for fit and controlled compression. Enhances muscular performance without binding. This product ships from the warehouse in Alabama via FedEx for a doorstep delivery. No signature required for most residential addresses. Dimensions: 8" x 7" x 5"